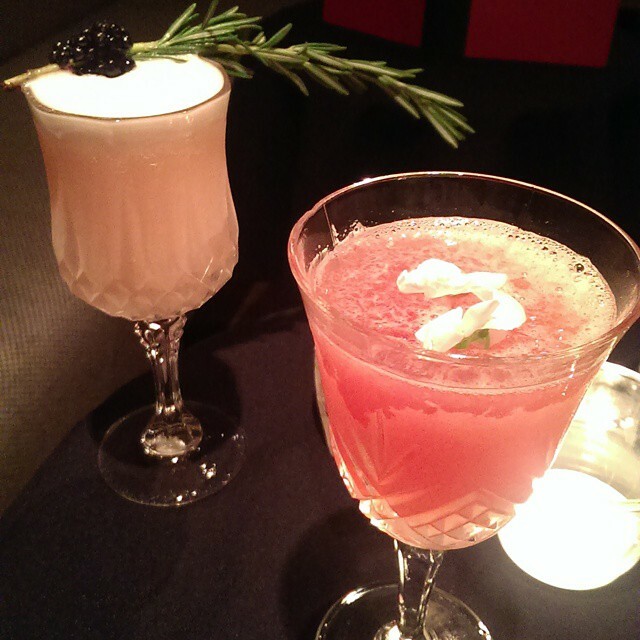 A door is not a door, and a wall is not a wall at the Reverend JW Simpson – Bourne and Hollingsworth’s sister bar (Click HERE for Review!) resides in a basement apartment just minutes away in Fitzrovia. The third of the B&H bars being the B&H Buldings, Clerkenwell (Review HERE!). 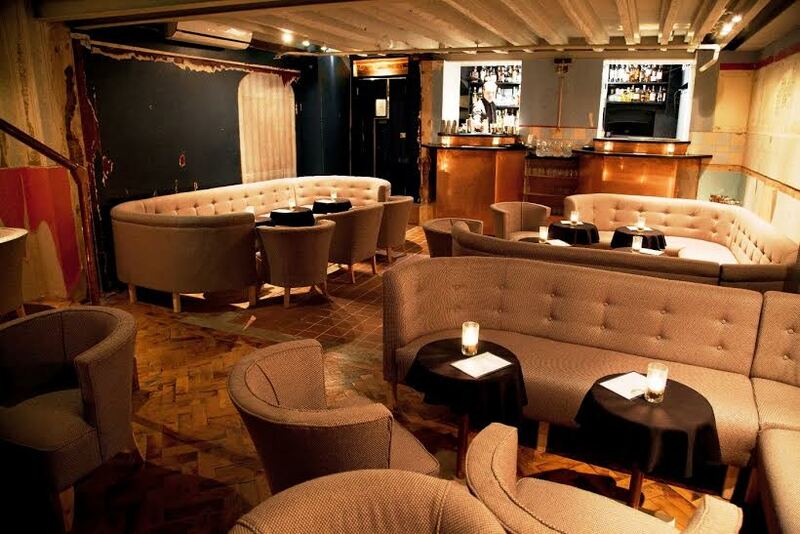 Named after an ex-resident of the space, the apartment now houses white banquettes set up against tattered wallpaper, overseen by a large and impressive bar, amusingly presented as ‘windows’ to the visitors, from where the drinks are served. There is a strange kind of shabby-Art-Deco-dissonance about the venue, especially with honkytonk, swamp rock, and everything from the Talking Heads to Red Hot Chilli Peppers playing in the background. On a weekend night, the venue can get swamped with people, so reservations are highly recommended – but this doesn’t harm service too much. It’s swift and attentive even with the crowd. 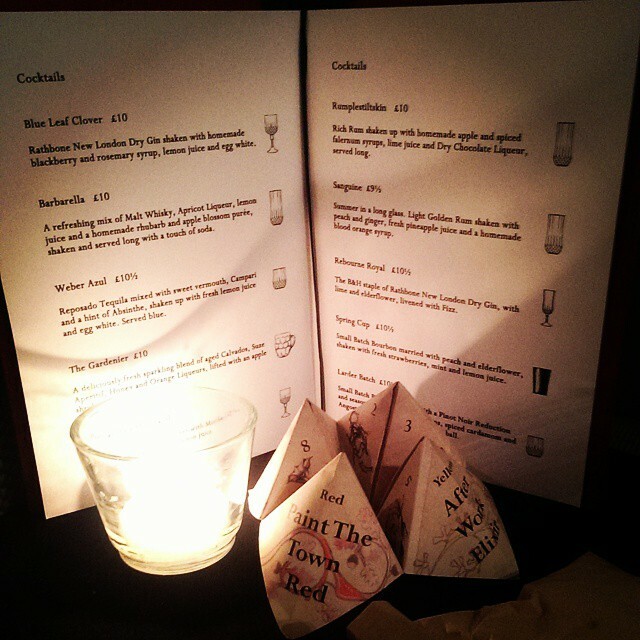 The two menus – one seasonal and one permanent (in the form of a paper fortune teller!) – have running themes: light, fruity, but there are the occasional heavyweights like the beautiful Larder Batch (The Hoodooist’s favourite at the Cocktails in the City 2014 event, Click HERE for Review). So whether you pick out a seasonal drink, or play a schoolyard game to make your order, the Hoodooist tried a few from each for your consideration! The Fir Douglas Rathbone, Esq. The Fir Douglas Rathbone, Esq. immediately catches the eye: Rathbone New London Dry Gin, homemade Douglas Fir liqueur, lemon juice, and a touch of maple syrup – finished with a spray of bergamot oils. The Hoodooist could sit back and just sniff this one all day. The fir and bergamot is sharp and fragrant, incredible. However, considering the ingredients, there are two ways to approach this cocktail – the heavy maple syrup sinks to the bottom of the glass, so either you stir it to spread the sweetness throughout the drink, or just drink it straight. Drinking it straight results in the bottom half becoming a sweeter version of the top half – which, though wonderfully piney, and strongly juniper, risks tasting like disinfectant (although I think that comes more from the scent than from the actual flavour!). Personally, I rather enjoyed the bright, vivid drink, but it is easy to see how it can be an acquired drink for some. Stirring it will result in a maple sugariness toning down the tartness, while keeping in like with the evergreen theme. The Blue Leaf Clover from the seasonal menu goes straight for the Bourne and Hollingsworth favourite flavours: berries. Rathbone New London Dry Gin, homemade blackberry and rosemary syrup, lemon juice and egg white result in a drink that is very easy sipping, smooth and delicate. It might not be complex, or a showstopper, but does its job as a refreshing semi-sweet cocktail you’d want at a picnic on the kind of sunny mornings we’ve had this Easter. And you can’t argue with the beautiful garnish that comes with it. 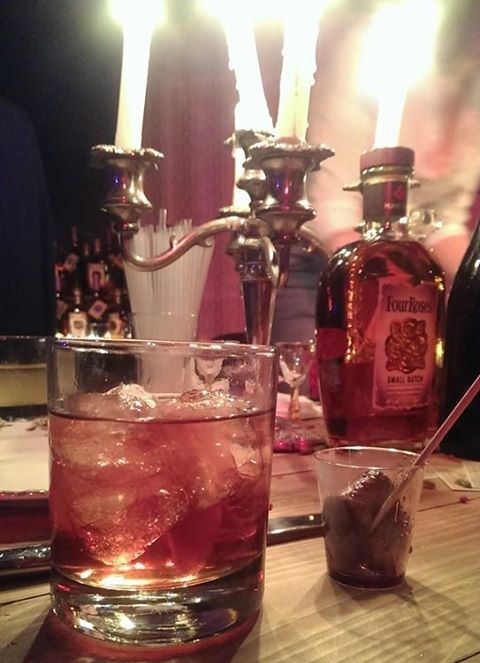 The Hoodooist’s love affair with Mastiha gum mastic liqueur is back with the Pomegranate Haze! Hendricks Distilled Gin, Mastiha liqueur, pomegranate tea syrup, lemon juice. This is not as sweet as you’d expect, and has a distinct earthiness a friend described as ‘like being in a forest’ – which I find is characteristic of Mastiha. There is an added bitter depth from the pomegranate tea syrup, slightly herbal, somewhat spicy, this drink in surprisingly adventurous. A young apple is used instead of an ice cube in the Gardenier: Aged Calvados, Suze Aperitif, honey and orange liqueurs, apple shrub. 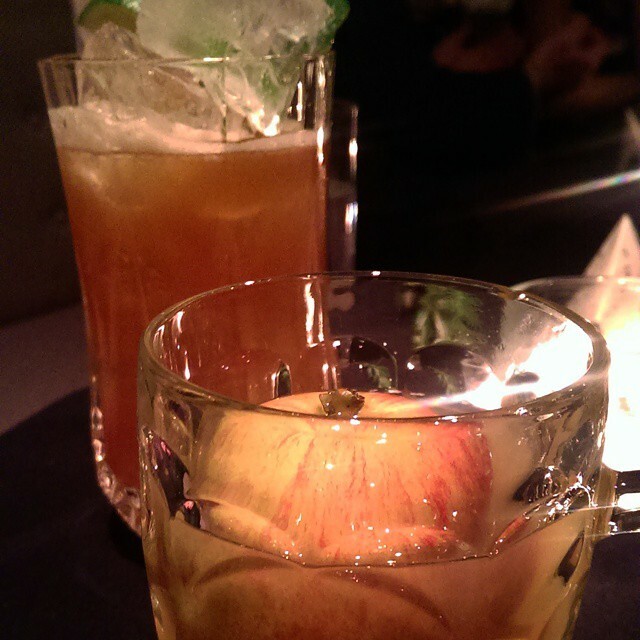 The first sip of this drink is overwhelmingly sweet, the Calvados, honey and shrub assault the palate – but after the first sip, it seems to mellow out a bit, with help from the bitter Suze, whose spice complements the apple nicely. Still, a bit too much on the sweet side for myself, but a useful dessert drink nonetheless. This is more suited to autumn in front of a fire. The Rumplestiltskin, on the other hand, is sweet in less appealing ways: Rum, homemade apple and spiced Falernum syrups, lime juice and dry chocolate liqueur present an intensely sugary long cocktail with a bit of a chocolate kick. This cocktail seems a bit jumbled and confused. Not far off, the Serena, with Polish Vodka, carrot shrub, vanilla liqueur, lemon and honey; lacks character and seems to taste more berryish than carrot, though the vanilla makes an appearance. The Larder Batch really does need to be eaten with steak. An excellent short bourbon drink, Four Roses Small Batch Bourbon, Pinot Noir reduction, seasoned with pink peppercorn, spiced cardamom and Angostura bitters. Here the Reverend presents us with a steak dinner in a cocktail format; the natural winter spiciness and vanilla/honey sweetness of the Four Roses Small Batch, and the bite of the peppercorn and cardamom suits the Pinot Noir (PIIINOOOOT NOIIR…sorry) reduction perfectly. 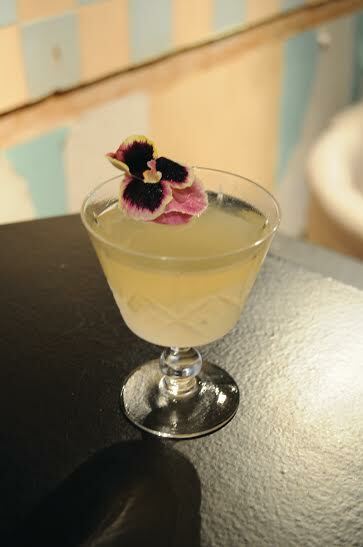 The Reverend excels here, with a style that is daring and stands out from the rest of the menu. Would love to see more in the style of the Larder Batch next season. More adventurous than its original cousin, the Rev still displays a certain amount of conservatism with the flavours explored on the menu. Nonetheless, there are a large number of drinks to choose from, each bringing something new to the table – they know vintage, and they do it right. This entry was posted in Bars & Cocktails and tagged After Work, Basement, Date, Quirky, Small Groups, Speakeasy, Vintage.